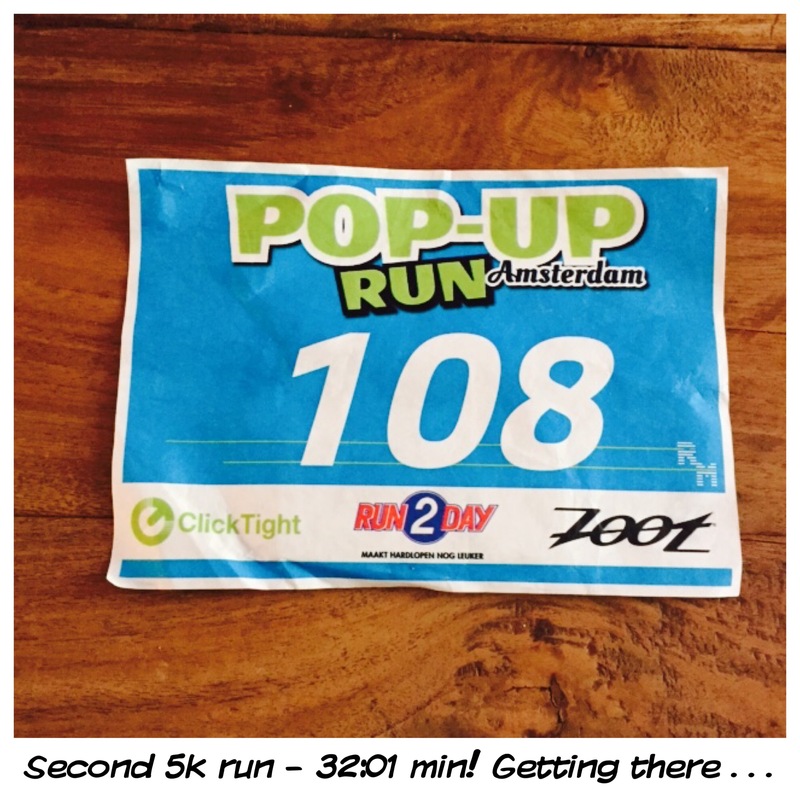 5k Pop-Up Run Amsterdam – . Last Sunday I finished my second official 5k run and even improved my time by 1:37 min! It’s still a rather slow pace as my 5k time used to be around 25 min – but that’s fine, not going to put pressure on me as the fact that I can run again is more important than PRs and a miracle in itself. Still waiting to see any kind of improvement concerning my fatigue though, can’t do a lot on days I run and sleep at least 1 hour on top.